Click Here to Find a Contractor. Click here for some excellent advice on avoiding scams. Naturally, you’re eager to get the rebuilding started. But take a few minutes to click here and review these tips. You’ll be glad you did. Always require a signed contract. See the Consumer’s Guide here. Why consider a PHCC Colorado Contractor? For the protection and safety of your family, home, employees or company – it pays to hire a professional plumbing-heating-cooling contractor. Do you really want to chance important and potentially dangerous jobs to a non-professional? If you think it’s expensive to hire a professional, wait until you hire an amateur. · Members stand for the health, safety and comfort of homeowners, businesses and the protection of our environment. 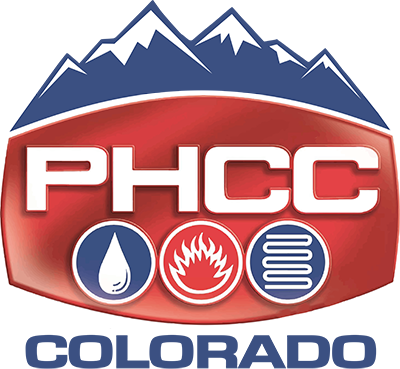 · A professional PHCC contractor will safeguard your home from carbon monoxide poisoning, water damage, sewer gas releases, scalding, mold, waste water leaks, and potential injuries related to improper installation and maintenance. · They are members of an organization that represents reliable and responsible professional mechanical, HVAC and plumbing contractors. · Are they properly licensed? · Are they properly insured? Ask to see proof of business insurance (It is the law). · How long have they been in your area? · Do they have a website you can visit? Be Safe. Be Smart. Hire a PHCC Professional. Go to our “Find a Contractor” page to find a PHCC Colorado Contractor near you.